﻿ Suzhou Tailida Technology Co., Ltd.
Suzhou Tailida Technology Co., Ltd.
Suzhou Hi-tech Development Zone, Suzhou, China. 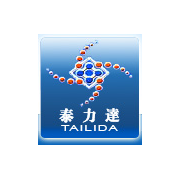 Established in 1978, Suzhou Tailida Technology Co., Ltd. is a specialized enterprise which mainly produces the aluminium nickel alloy series and noble metal carrier model catalysts (Pd, Pt). It can produce 1,000 tons aluminium nickel alloy per year and 5 tons noble metal catalyst per year. It has been appraise as the "Trustworthy Enterprise" for 20 years in succession from 1978 to 2009 by the Administration for Industry and Commerce of Suzhou. In 1997-2009, it was appraise as the "AAA Level Credit Standing Enterprise" by Jiangsu International Consultation and Evaluation Company.